Thanks for stopping by my website. What you will see is my unique, handcrafted jewelry, with no two pieces ever alike. 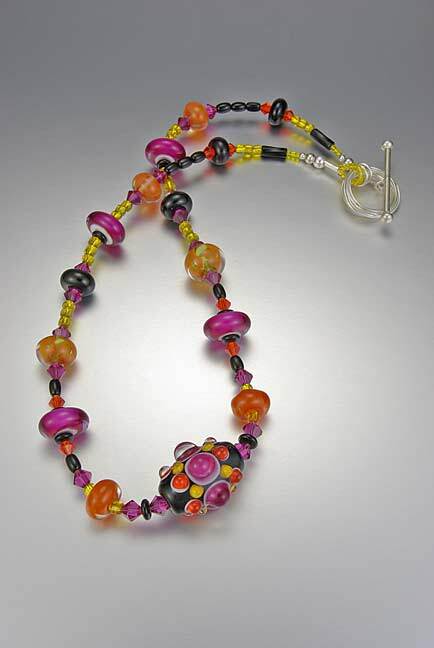 Each lampwork bead is made one by one, by hand, by a SRA - Self Representing Artist lampworker. 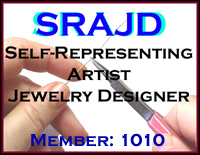 My designs with the SRA lampwork glass, Swarovski crystal, and all types of sterling silver bead jewelry are paired with only the highest quality materials. Many of the findings in the pieces themselves are also custom made. If you see something you like on the site or if you have a picture, drawing, or just an idea in your head, e-mail it me. I would love to work with you to create personalized beautiful pieces that you will love and wear. The only limit to a design is our imaginations.